Thirteen-year-old Oksana lives on the streets of Russia with her pregnant mama and abusive aunt—both prostitutes. When Mama swells into labor, Oksana makes a decision to save herself from abandonment, a decision that torments her forever. But her plan fails when her aunt dumps her in an orphanage before she has the chance to say goodbye to her mama or tell her the secret that haunts her. 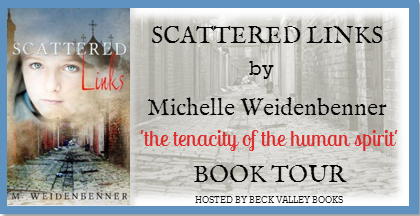 Scattered Links is a story of family and the consequences that come from never learning how to love. It’s a story of a girl’s inability to bond with her adopted family and the frustrations that follow. How can a child understand the mechanics of forming a healthy relationship when she never had a mother who answered her cries, held her when she was frightened, fed her when she was hungry, or loved her unconditionally? Only when the child meets a rescued abused horse, and recognizes the pain in his eyes, does she begin to trust again. 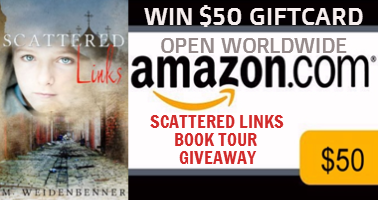 SCATTERED LINKS takes you down the street of nearly any Eastern European town, arm-in-arm with the orphaned. Michelle has captured the beauty and horror millions of children live everyday. The attention to detail is impressive. Having lived in a post-Soviet country for a time, visiting orphaned children, this fictional account rings with truth, from the heart-wrenching pain of abandonment to the realization of self-worth, and the love family and faith brings. Thank you for such an uplifting book, appropriate for the young reader, as well as adult. May your heart be encouraged, as mine was." 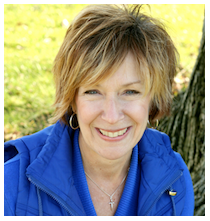 - Kim de Blecourt, speaker and award-winning author of "Until We All Come Home: A Harrowing Journey, a Mother's Courage, a Race to Freedom"
“Scattered Links is a novel that pulls its characters from the gutters and, in the end, celebrates the tenacity of the human spirit.” A reviewer comment. 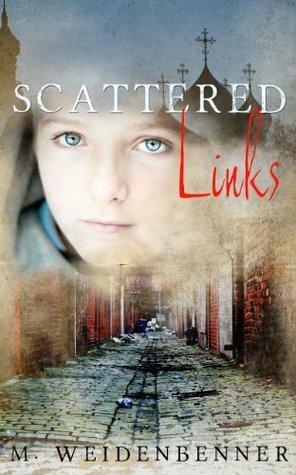 Scattered Links is a truly inspirational story that shows the resiliency of children.. It is a miracle of the human spirit. When I first learned of this book, I knew I had to read it. My mother's friends adopted two children from Romania. The kids are brother and sister, and were in an orphange similar to the one in Russia that Oksana's sister was in. It has been a difficult but rewarding experience for them. I knew that Scattered Links would be an emotional journey that would pull me in from the beginning, and I was not disappointed. It is unbelievable as Americans to understand the difficulties of Oksana's life. Even though we have people that live in poverty, we can not imagine orphanages or people living like this. While this is not a true story, there were or are similar situations in Russia and Eastern European countries. You will be captivated from page one. Your emotions will be on high alert thinking of any child having to go through everything that Oksana does. I highly recommend that you get this book. It is one that I will keep and pass on (loan) to friends and family. I give this book 5 stars. While there are difficult situations, I think everyone can learn and appreciate this book. Parents should read this before letting their children read it. My children are pretty much grown but I would've let them read this if they were in middle school or high school. If nothing else, this will show your child that their life isn't so bad afterall. This book shows the miracle of the human spirit. Her debut novel, CACHE a PREDATOR, a geocaching mystery. was launched in July, 2013 and has been an Amazon best-seller in the crime/thriller category. Her other works include: Willow, Scattered Links, Kelly’s Story, Eclair Series, and The Vision in a Kiss. She has won contests in both The Writer’s Journal and The Writer’s Digest. Love is Just a Word (Scattered Links) was a bronze medalist is the 2010 Frasier Contest, a 2011 semi-finalist in the ACFW Genesis Contest, and won the Aspiring Writer’s Contest withe THE READING ROOM, 2013. Thanks for taking the time to read and review LINKS and recommend it to others! Wow. I'm thrilled that you liked the story and can see the benefit in others reading it too. Thanks for all you do for authors.